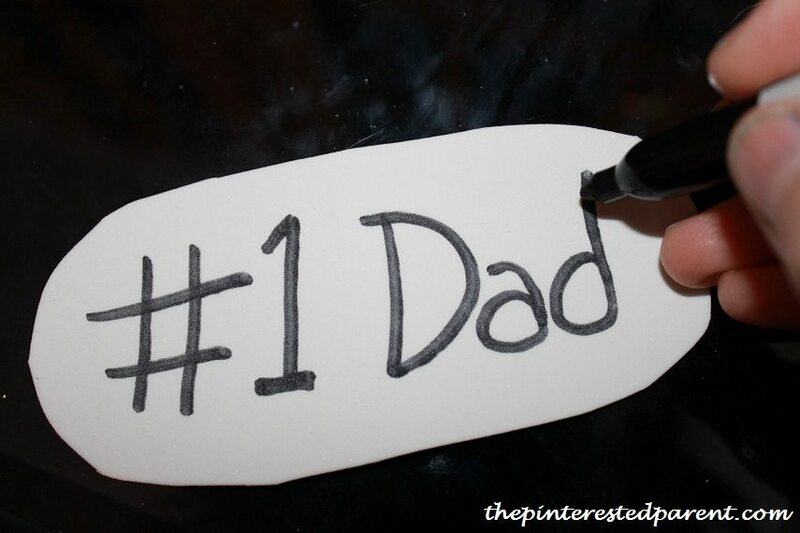 Your kids will love this fun Father’s Day card, complete with a movable hammer. My daughter loves her mommy, but she is a daddy’s little girl through and through. 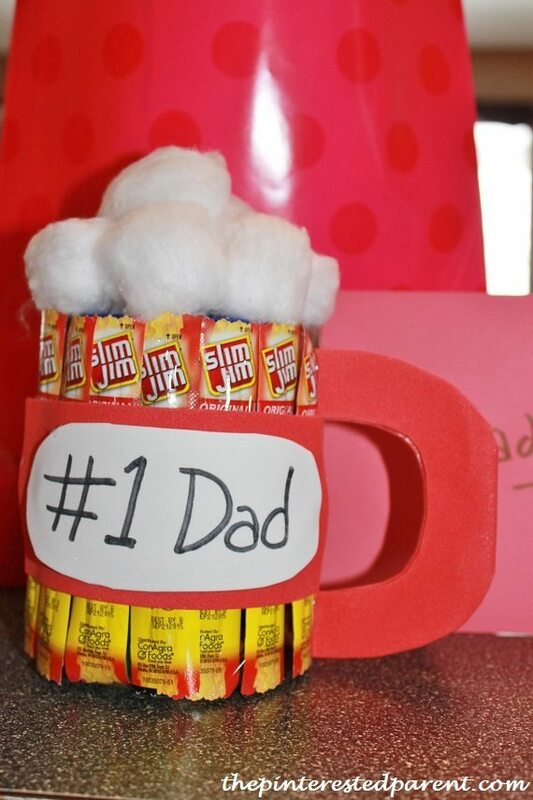 Father’s Day is only a few weeks away and we were eager to start making special projects for dad. 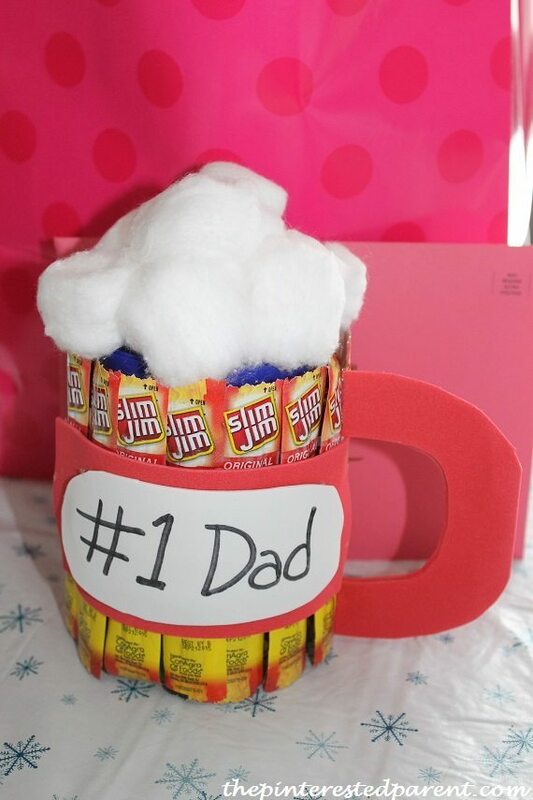 This Father’s Day card has a movable pounding hammer that the kids will get a big kick out of and that their daddies will love. Today is Valentine’s Day, a day for love & romance. It is also a day that I scramble to try to figure out what kind of gift to buy my husband. Hallmark, Russell Stover’s and every jewelry store and flower shop in town are kept busy with the swarms of boyfriends and husbands grabbing their clichéd Valentine’s trinkets for their wives at home. The men have it easy. It is us women that have to play the guessing game. There will be no stuffed animals or lip shaped chocolates being given to my husband. Perhaps if they made stuffed animals stuffed with bacon or chocolate covered beer cordials this might fly, but otherwise no. Luckily for me, the Patriots made things easy this year & won the Superbowl, which opened up my gift list to Patriots’ paraphernalia. Thanks guys. I owe you one. Before the Pats’ brought home the victory, Mai & I had another idea in mind for our favorite guy. 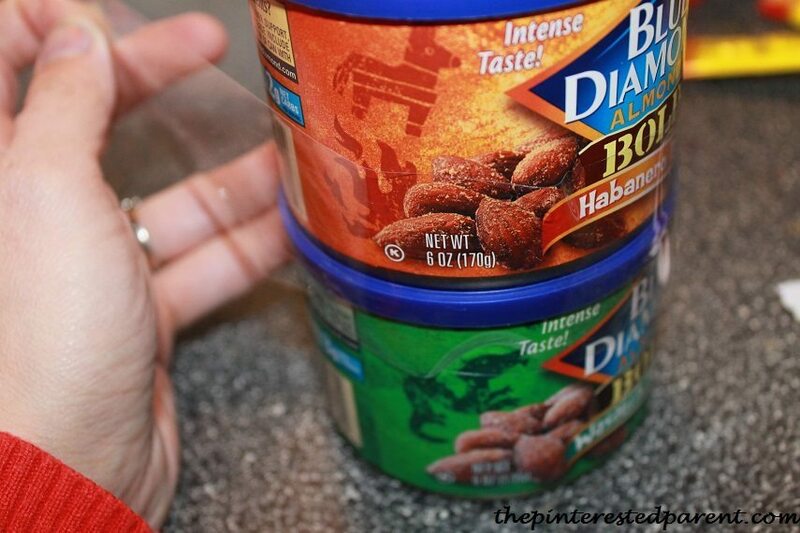 Tape two canisters of nuts together. 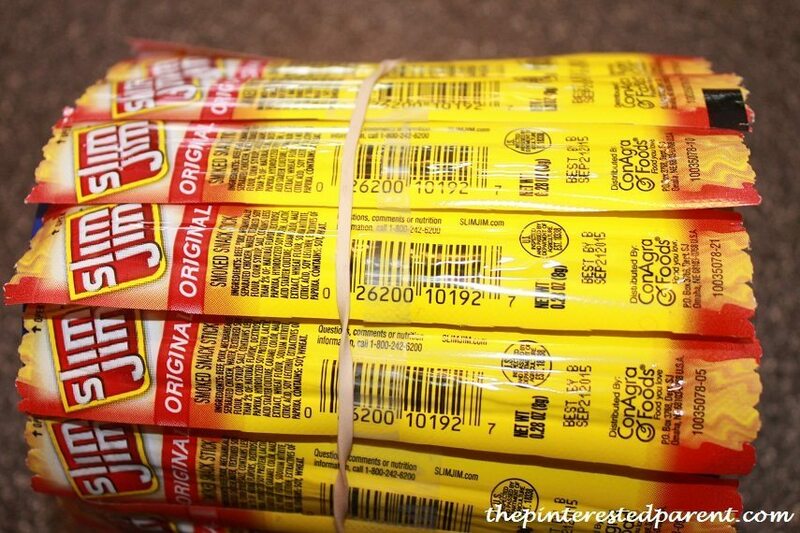 Tape a string of mini Slim Jims together so that they are even. I used 16 of them. 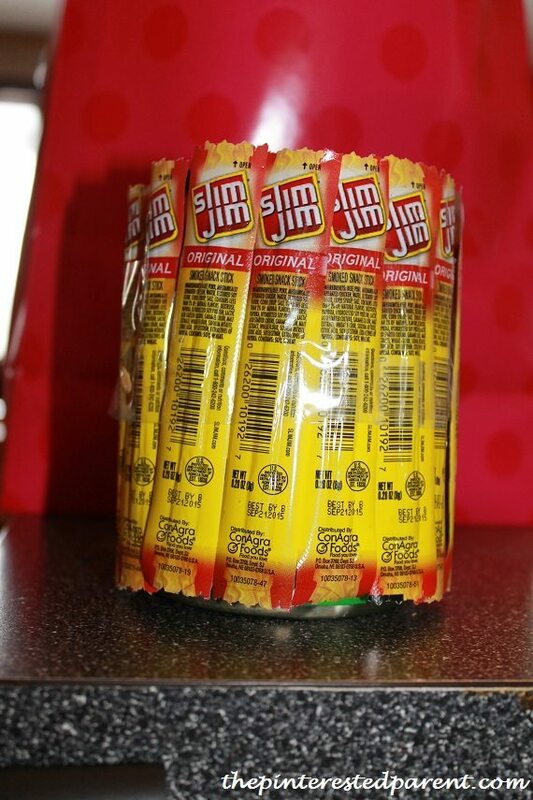 Wrap the Slim Jims around the outside of the canisters with the label facing the outside. 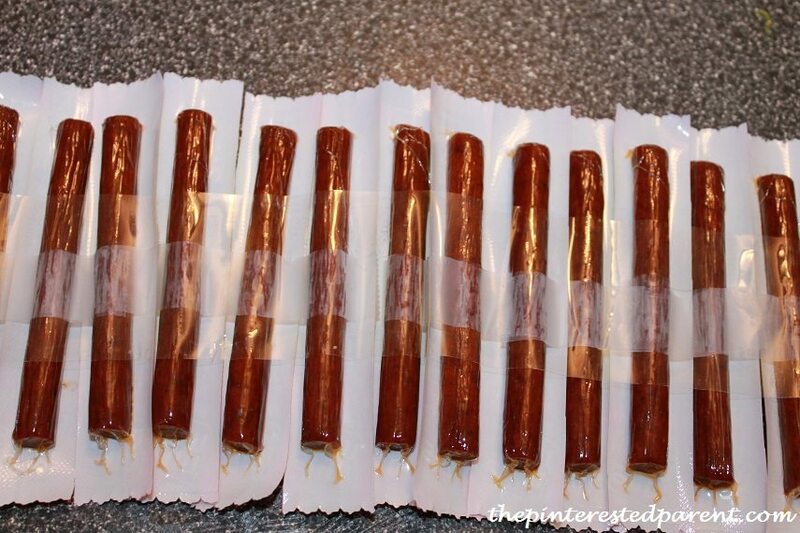 Secure with a rubber band & then tape into place. 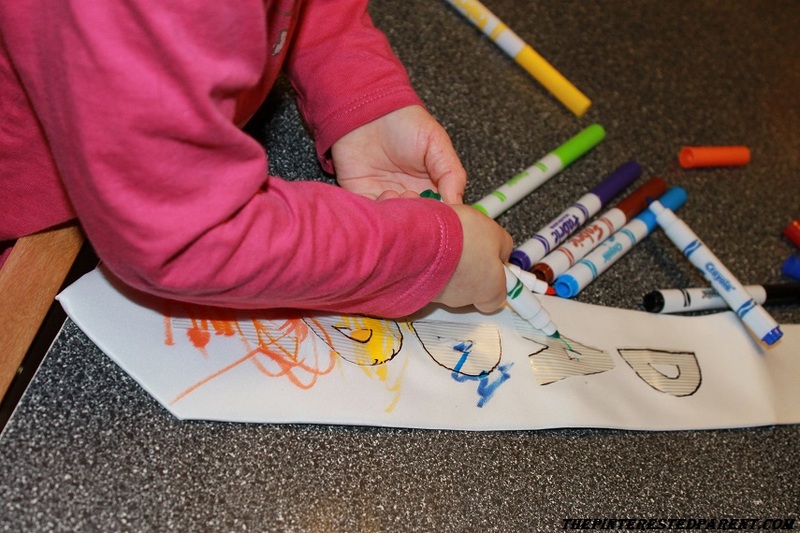 On a piece of construction paper, cut out an oval & write your message. Mat it to another piece of construction. 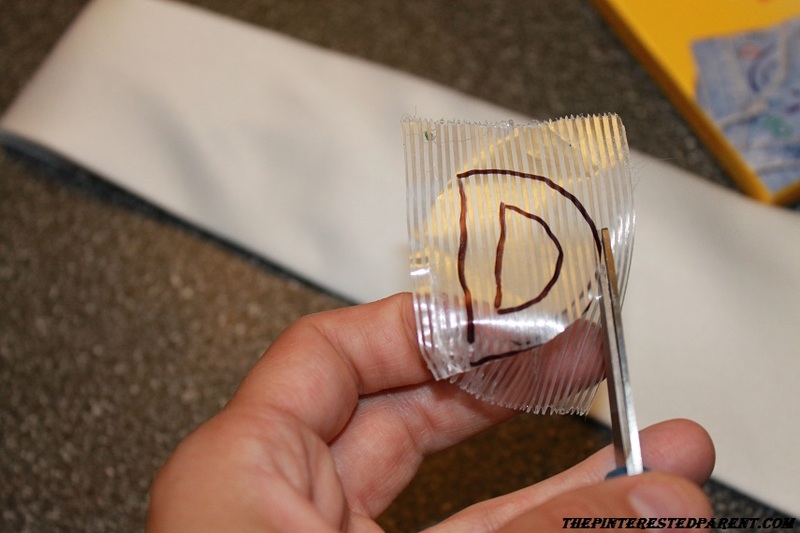 Dab the back edges of the paper with a glue gun & secure. Cut out a handle shape . 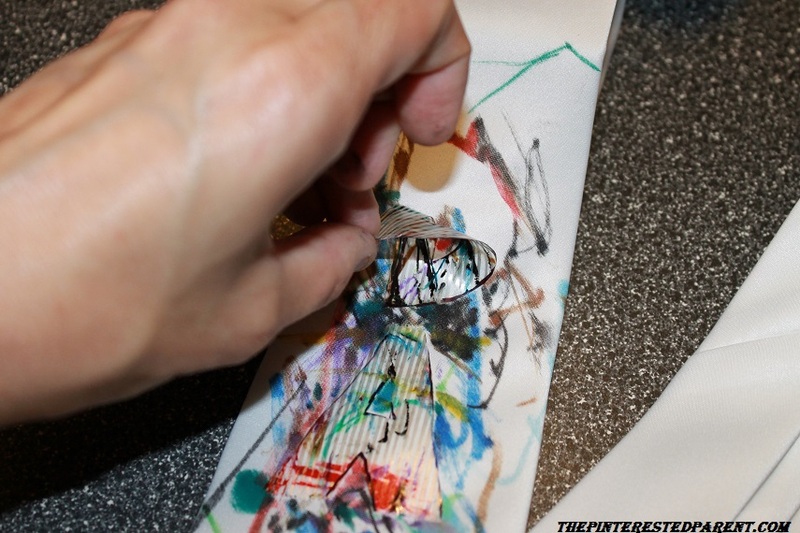 Bend the edge of the paper that will secure to the mug & lightly glue into place with a glue gun. Add cotton or tissue paper to the top for the foam. Now on to to our link-up. Welcome to week 7 of the Sunday’s Best Link-Up. 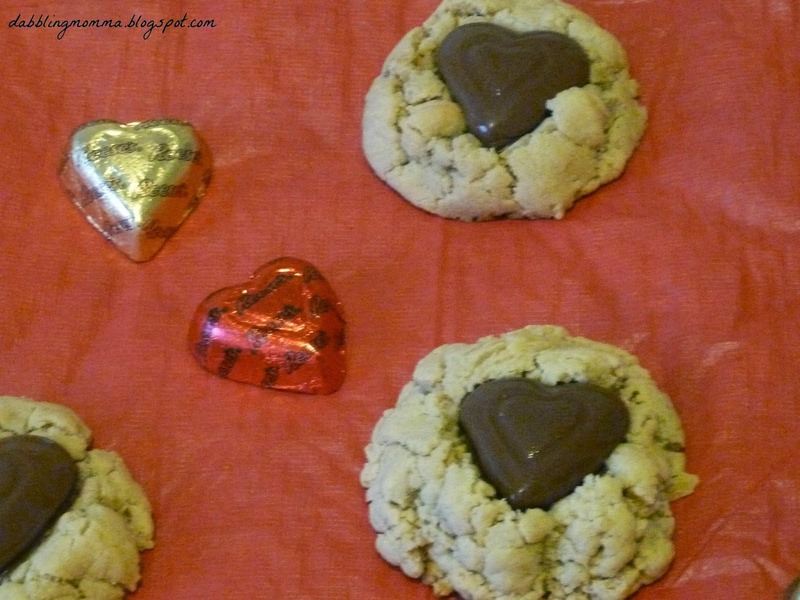 Welcome to Week 7 of Mother 2 Mother’s Sunday’s Best Linkup. 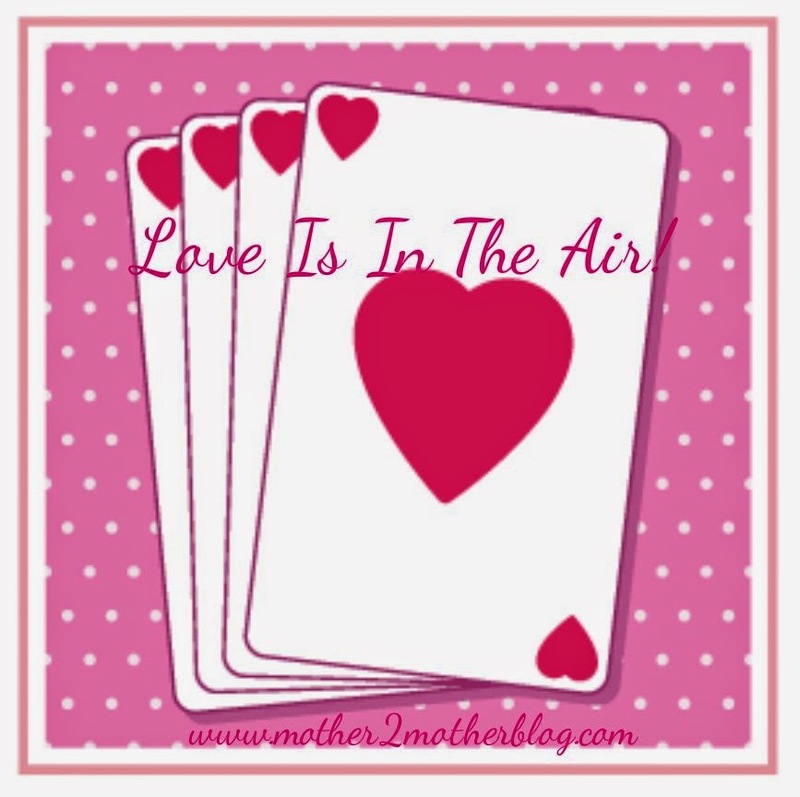 Each month we will feature a theme, this month the theme is Love Is In the Air. Smooches! Please share your favorite posts on anything or anyone that you love. 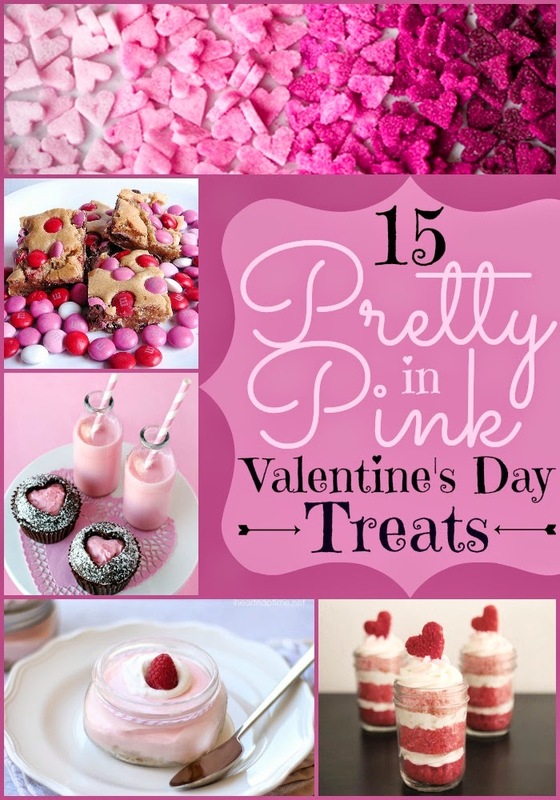 This can be recipes, Valentine’s crafts, scrapbook layouts, how you met your husband or significant other, your children, how you spend Valentine’s Day etc. You decide. Don’t have posts that fit into the theme, link up whatever post you would like to share. Anything goes here. You may link as many posts as you would like. Each week a post will be selected and featured the following week. An image from your post will be used on my blog the following week with a link back to your blog. 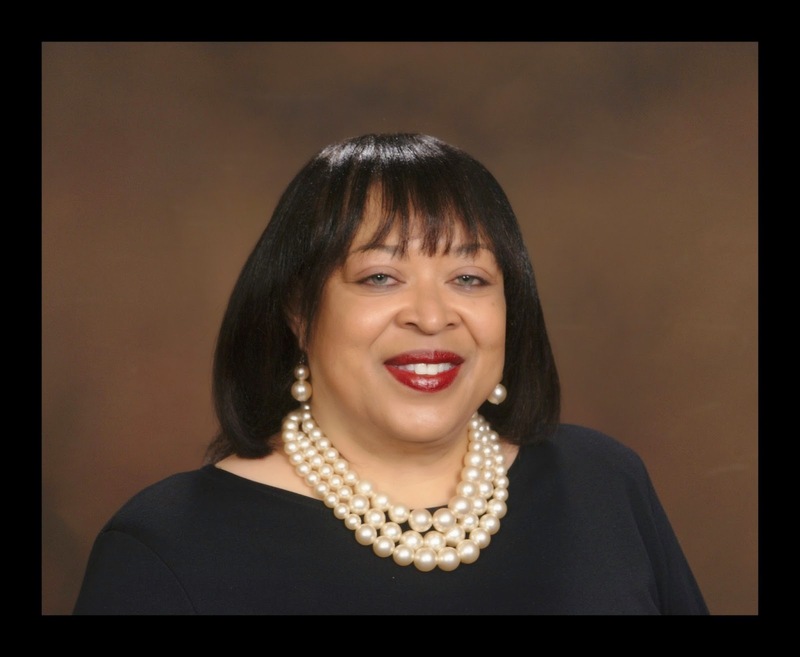 Be sure to check back to see if you’re the Sunday’s Best featured blogger of the week. 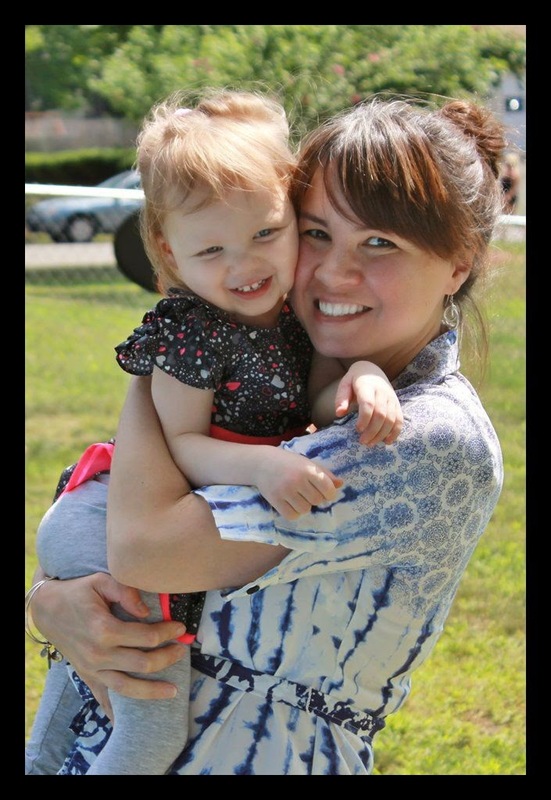 Please meet my new co-host, Kim, and her beautiful daughter from Pinterested Parent. 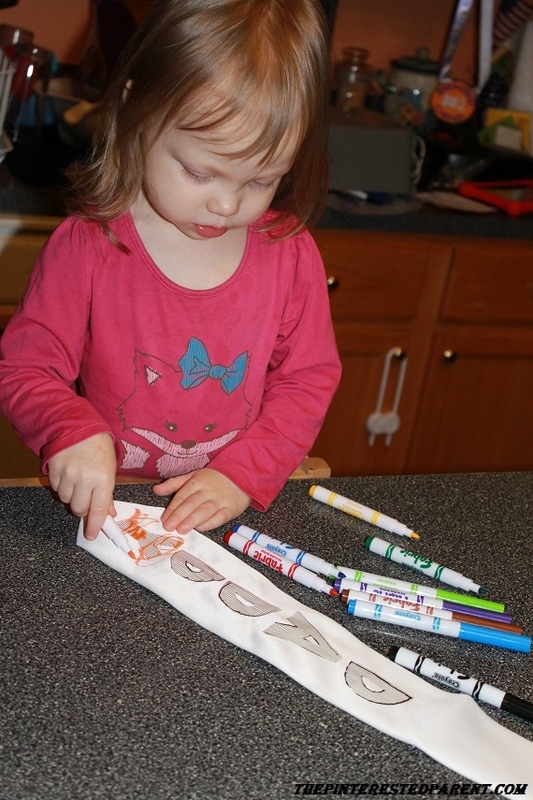 Kim shared a great post last week Pasta Love Bug Crafts. They are adorable and perfect for rainy or snowy day. Please check it out and connect with her. 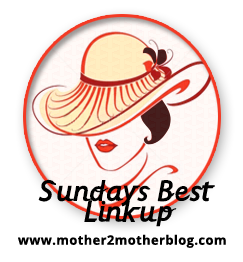 If you are interested in co-hosting the next Sunday’s Best linkup, please contact me for details. Get your post(s) ready for March. The theme is Spring Forward. We’re looking for spring crafts, Easter decorating ideas, Easter tablescapes, recipes, anything that you love to do in the spring and would like to share. One last thing before we get the party started, please grab the Sunday’s Best button above and place it on your sidebar or Tweet the linkup using the hashtag #SundaysBest. I appreciate your help in promoting the linkup with Re-tweets and shares. All of the posts were great, and I appreciate each of you linking up. We honestly had a hard time making selections, and would like to invite all of you back to linkup your post again this week. While your’re here take a minute to visit these great blog and connect with Jessica and Susen. These ladies are quite crafty. Now, lets link up those posts and be sure to visit a few other bloggers who have posted while you’re here. This is a great way to meet and connect with new bloggers. Be sure to PIN or share any posts that you like, we all appreciate a little love. My daughter is very much her father’s little girl. Not only does she adore him, she looks like him & she acts like him too. 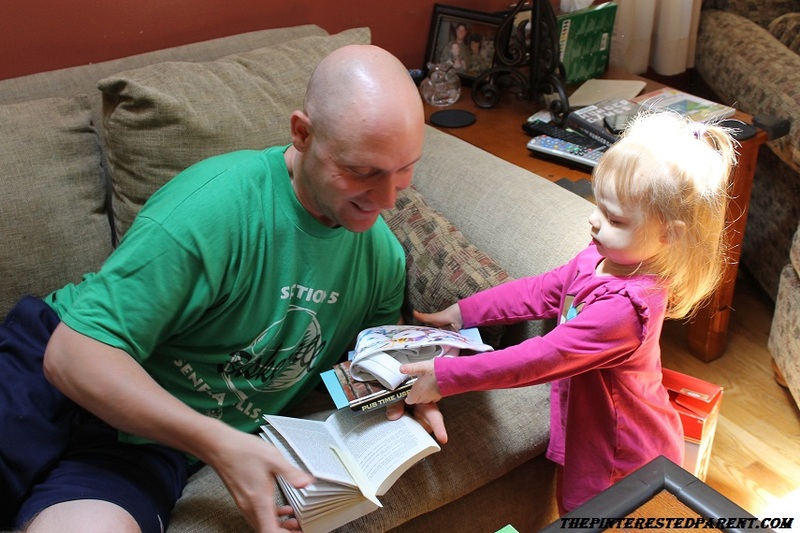 There are traces of me in there too, but for the most part she is daddy’s girl. From those beautiful blue eyes & dimples to the way she has to arrange her Fruit Loops by color she is her father through & through. 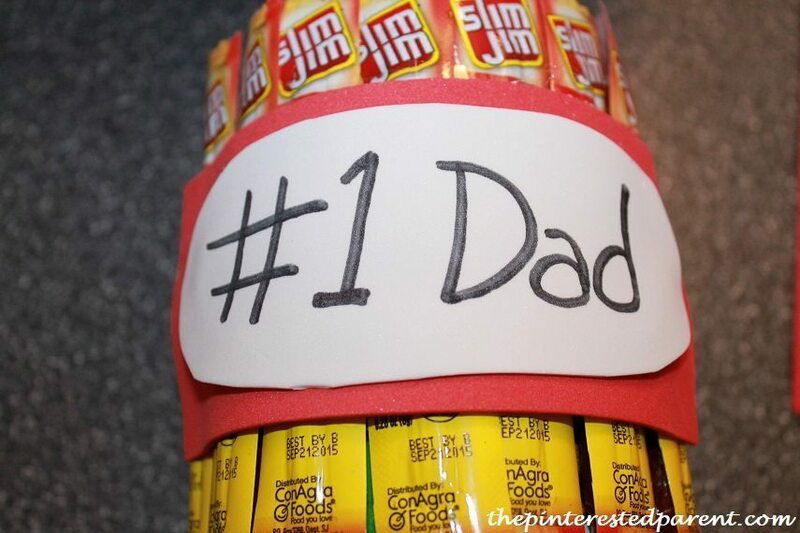 Yesterday was Father’s Day & Mai had made a special gift for her #1 guy. 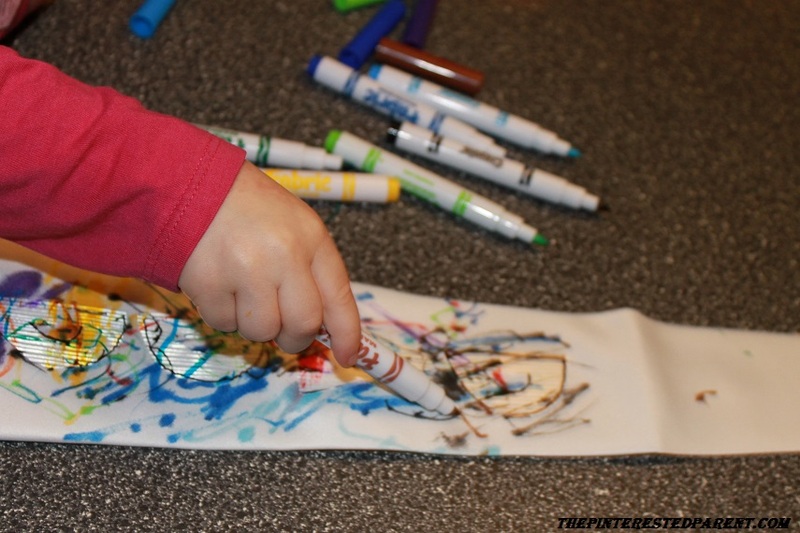 This was a cute & easy project for my little one. 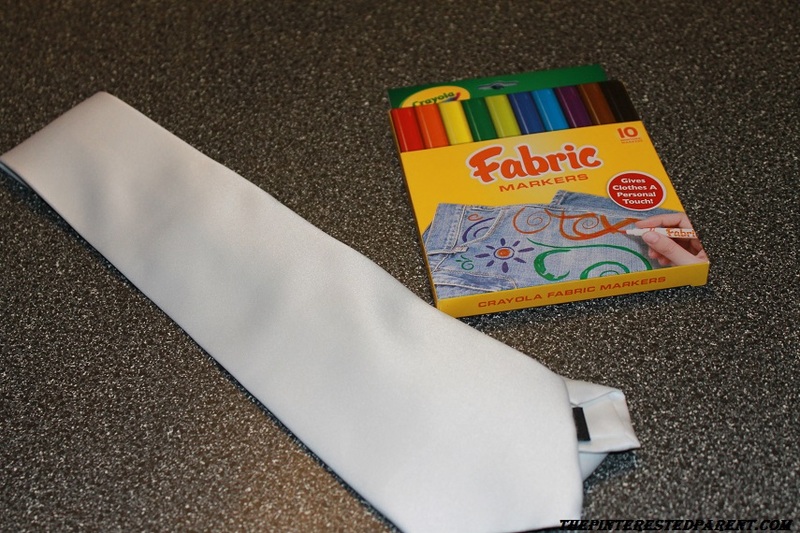 All you need is a inexpensive white tie, fabric markers, duct tape or masking tape & a pair of scissors. 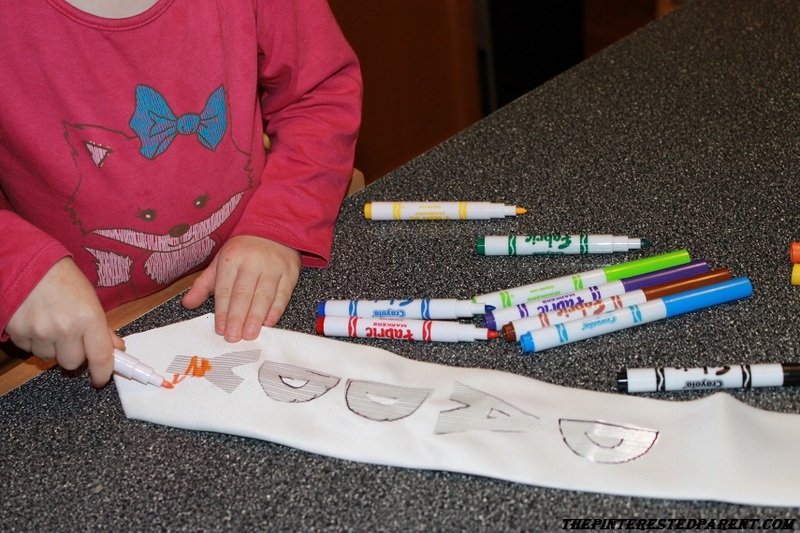 With a marker draw out your letters one at a time on a piece of the masking or duct tape. 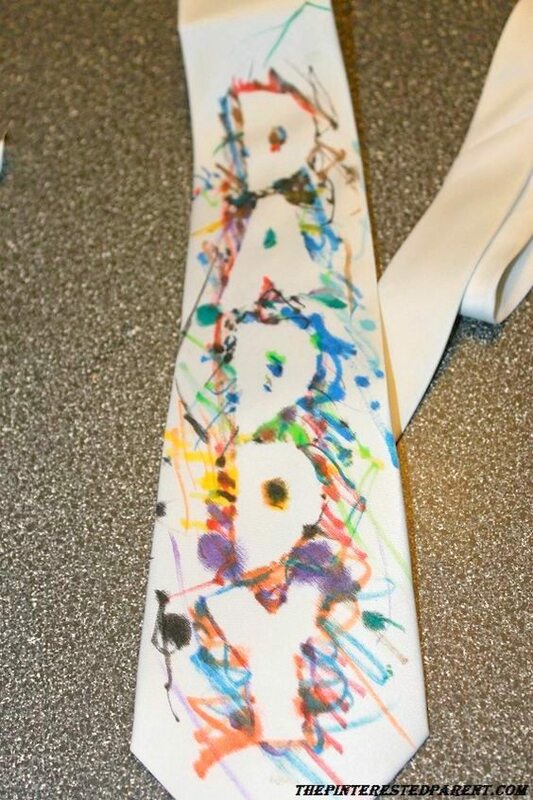 Place the letters on the tie. Make sure they are flat & pressed firmly. 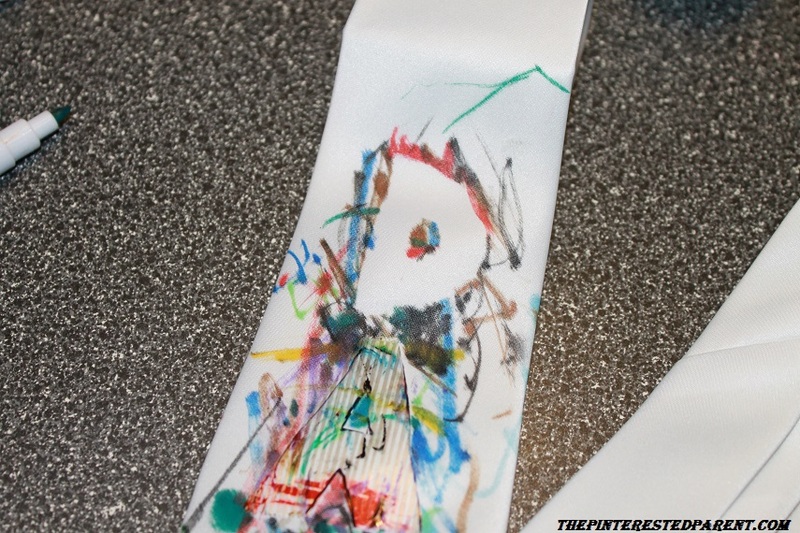 Using fabric markers, let your little Picasso go to work coloring the tie. 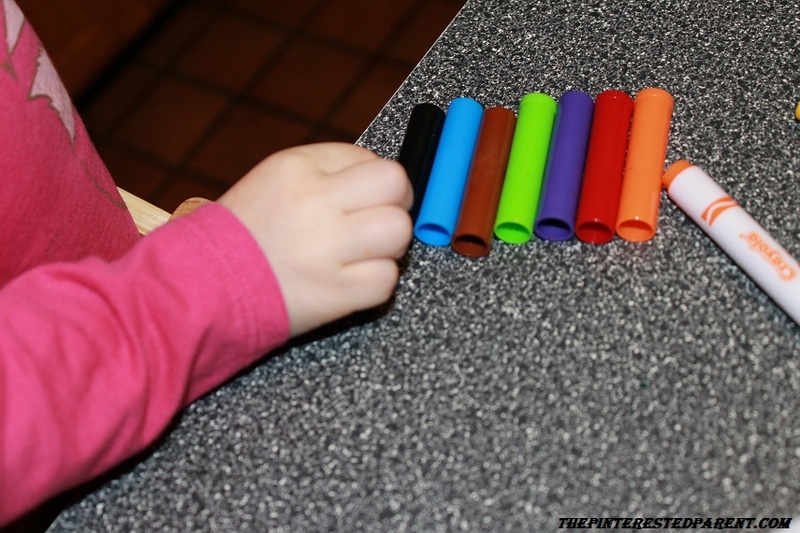 Watch her demonstrate why she is just like her father by lining up all the marker caps in a row. Remove the letters slowly. If as you are removing them you see that the letter isn’t properly formed, replace it & give it a little bit of an outline. 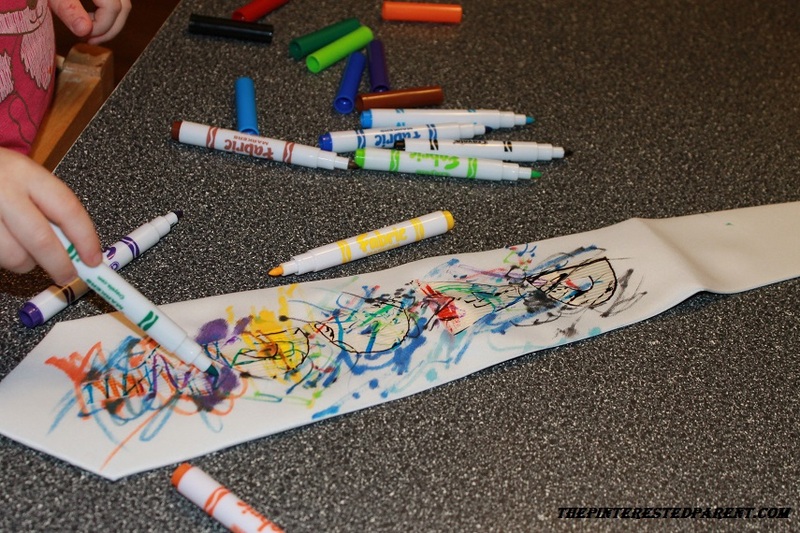 After it is complete, put in the dryer on high heat for about 5 minutes for the marker to set. Give Daddy your present & a kiss. 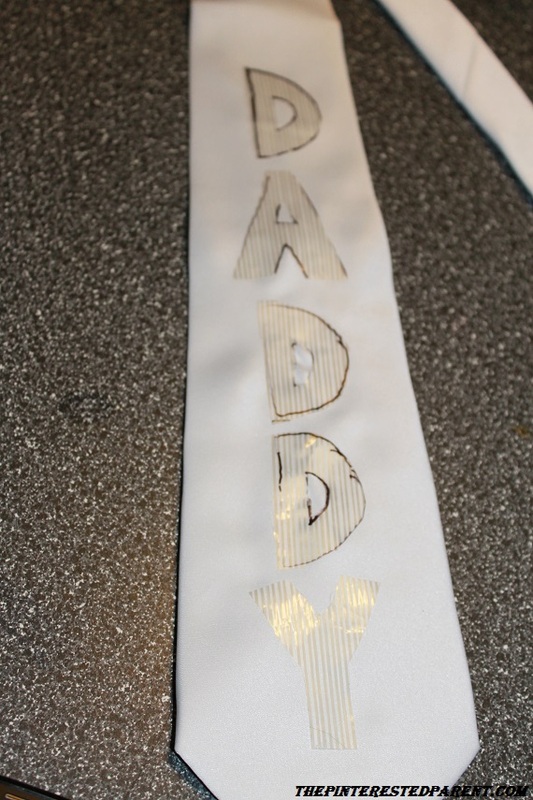 Mai was very proud of her homemade gift & daddy loved it. I hope all the Father’s out there had a wonderful Father’s Day.